Wes told me how the Jewish people, in the two centuries before Christ, lost their general proficiency with Hebrew as a language. This was a result of being taken over by the Greeks led by Alexander the Great. Needing to communicate the scriptures to the people, the Jewish leaders selected seventy Jewish scholars (because there were seventy scholars, the Septuagint is often denoted by the mark ‘LXX’) and sent them off to individually translate the texts. Sidenote: Legend says that, upon reconvening, the scholars’ translations were identical! Divine intervention, right? This is a great story, but we know it to be a legend because, as Wes informed me, not all of the scholars made it back to compare their efforts, and the translations weren’t identical. Still, it’s a great legend :). 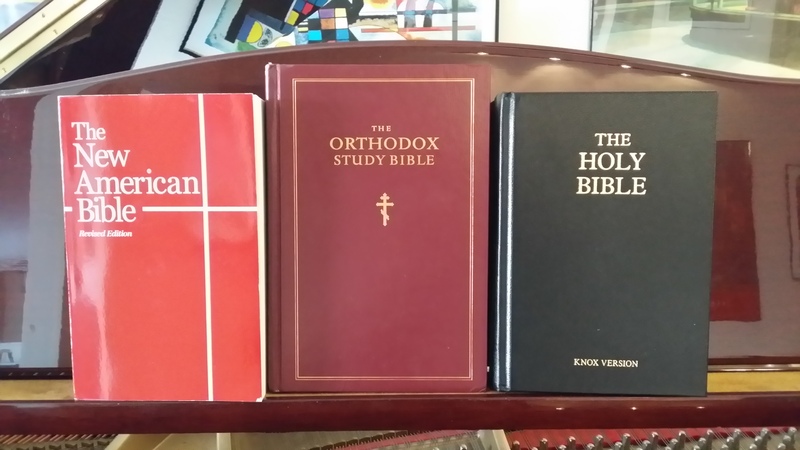 Wes continued, telling me that the Greek Orthodox Church still uses the Septuagint as its Old Testament, and since most Orthodox Christians in English-speaking countries speak English, local Greek Orthodox churches use an English translation of a Greek translation of the original Hebrew Scriptures. Fascinating! This certainly piqued the interest of a history and language lover like me. One of my new favorites, the Quentel NASB. Nice large print, thick paper, and above all, a great translation. Paul is quoting Isaiah 11:10. So, Wes told me to hold my place in Romans while he flipped another Bible open to Isaiah 11:10. He read the passage as I followed along in Romans. 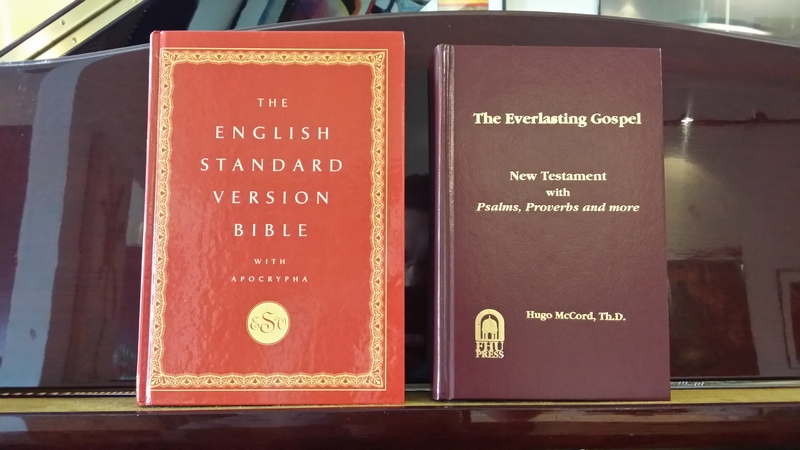 Two favorites: Oxford’s ESV w/ Apocrypha and Dr. Hugo McCord’s The Everlasting Gospel. Though vaguely similar, the passages, both from the NIV, are ultimately very different. 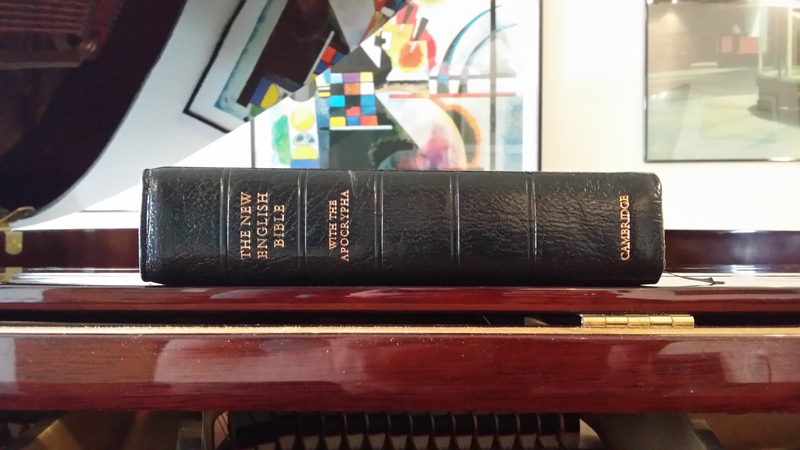 I was surprised – never having compared New Testament references to their Old Testament counterparts, I suppose I expected them to be more alike. At this point, to complete the illustration, Wes and I would’ve examined the LXX to see how Isaiah 11:10 in it compares to the NIV’s Romans 15:12. Though we didn’t have the LXX available, Wes said that Paul’s words would line up quite nicely. I had to check it out. Isn’t that interesting? The LXX translation of Isaiah 11:10 lines up more perfectly with the NIV’s Romans 15:12 than does the NIV translation of Isaiah 11:10! 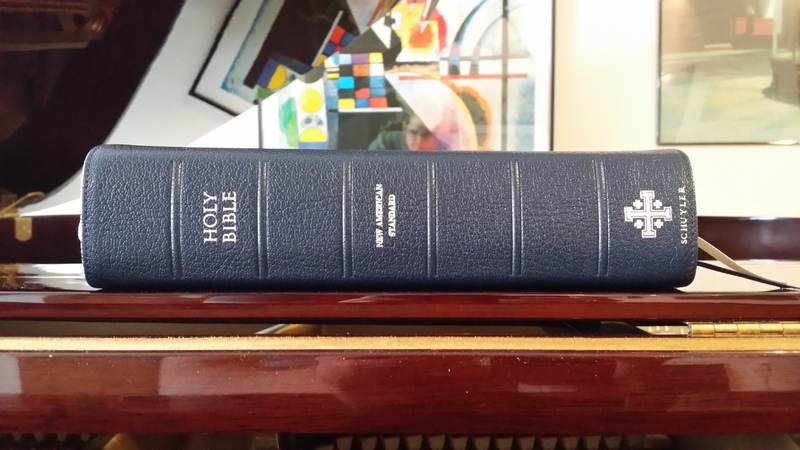 Probably one of my most cherished versions, the New English Bible. Very easy to understand. The point is, if you or I compared Romans 15:12 to Isaiah 11:10 in our copy of the NIV, ESV, NASB, KJV or any other modern translation, we might be flummoxed by the lack of similarity. ‘Did Paul get the quote wrong?’ we might ask. 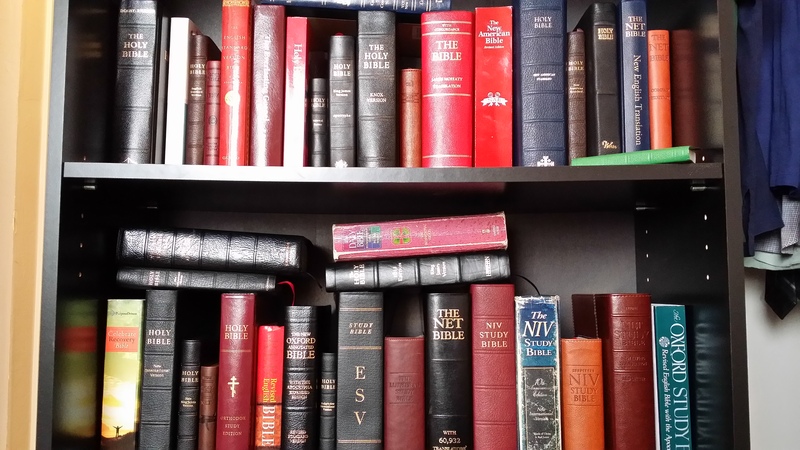 ‘Can the Bible be trusted? ?’ we might wonder. In the absence of good answers, such questions could lead to tremendous doubt and worry. But, by understanding different translations, and we can see that Paul isn’t misquoting Isaiah but merely quoting a different version of Isaiah 11:10. This little illustration from Wes opened my eyes to the wonder of Bible translations. Grant Stevens is a guy who likes to read, write, play basketball and watch movies. He also enjoys apologetics, and he plays music. He is also the Supreme Dictator of the Use Ironic Correctly Society.